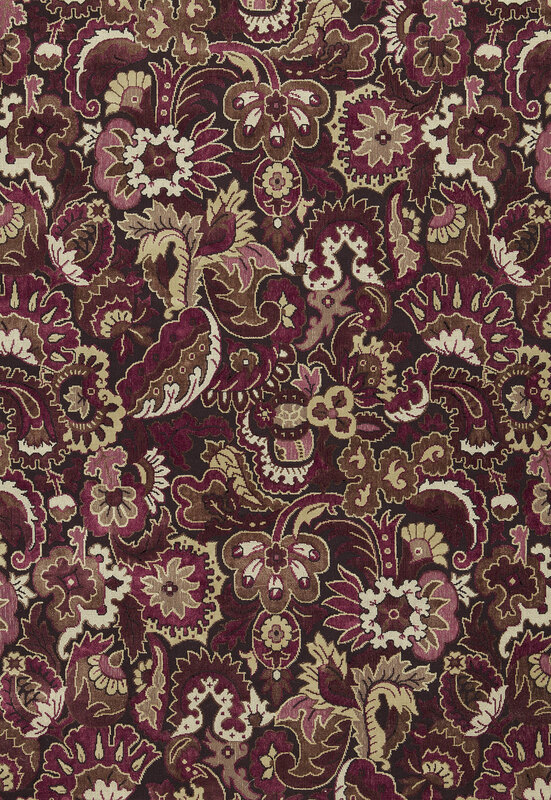 Design Inspiration: This velvet originated from a tapestry in the Schumacher archives featuring a classic bizarre design that combines baroque patterning with exotic Oriental motifs. 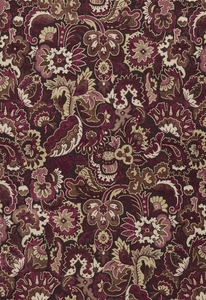 Its decorative details have now been interpreted in a four frame, or four colored, cotton and linen velvet-and-epingle quality, giving it amazing texture and dimension. Its rich weave is echoed by deep and exotic colorations which also give nod to modern color trends in plum, charcoal grey and chartreuse. Its plush appearance is enhanced by its durability, making it suitable for upholstery in both residential and contract applications.